Husker volleyball standouts travel to Nicaragua to help build more classrooms for a school. A look back at the 1913 Easter tornadoes, one of the deadliest in Nebraska history. 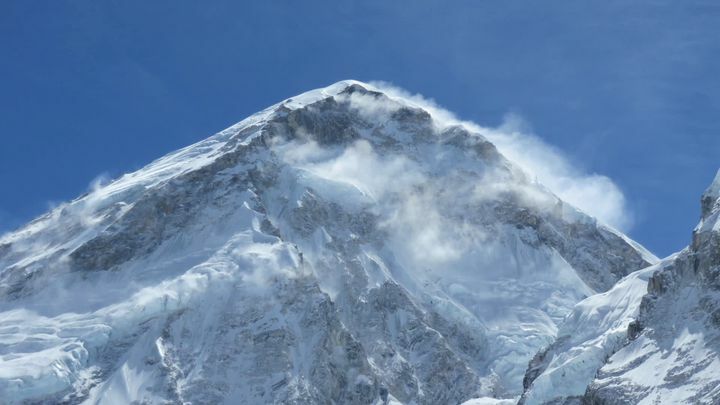 Lincoln climber Robert Kay became the first Nebraskan to summit Mount Everest. Kay talks about the emotional moment of reaching the top of the world and how he nearly died on the way down. A Cornhusker fan’s curiosity about a classic husker football game turns into an all-consuming hobby to restore and build his own husker football broadcasts from old film reels and radio calls. Nebraska's own Olympic bobsledder Curt Tomasevicz returns home with some new hardware to wear around his neck. During the last Husker spring game, a little boy named Jack made the run of his life. Meet the family behind "Team Jack." A Lincoln man who witnessed the deadly accident on Mt. Everest last April discusses the future of climbing on the mountain. Their glory days behind them, old ballplayers reminisce about playing in Nebraska's Independent baseball league. Meet former Nebraska Softball standout Alicia Armstrong, a battle-tested player who persevered through injuries to play shortstop all four years of her career. A profile of rodeo bullfighter Rowdy Moon.